There are many great options for authentic souvenirs from Granada, but something food-related is practically guaranteed to be a winner. 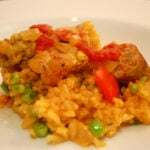 Even when your trip comes to an end, you can still keep the flavors of Andalusia alive. These incredible gourmet food gifts from Granada will delight your family and friends (and make them want to book their own trip!). Who doesn’t love cheese? Take things to the next level with a wheel of queso from Montefrío, one of the most beautiful pueblos near Granada. The village has been proudly producing cow’s and goat’s milk cheeses for decades. This isn’t just your everyday supermarket cheese—it’s a proud artisanal tradition and one of the best gourmet food gifts from Granada. 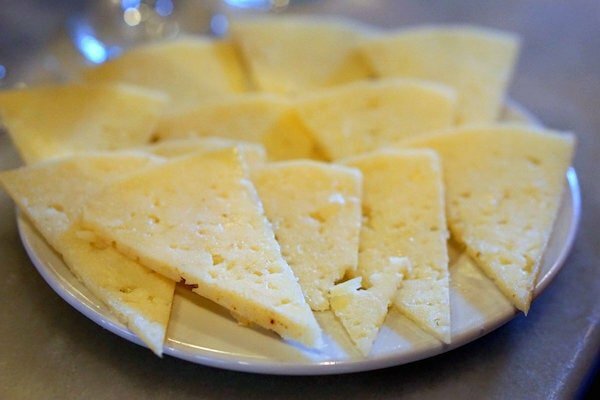 All Spanish cheeses are worth trying, but queso montefrieño is among the best. 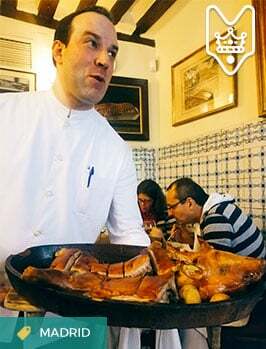 If you only try one typical food in Granada, make it jamón de Trevélez. 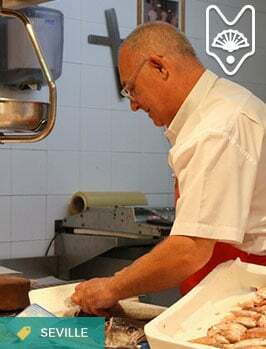 Produced more than 1,400 meters above sea level in the mountain village of Trevélez, the unique altitude and weather conditions help create jamón that is second to none. If you’re still not convinced that this is one of the best gourmet food gifts from Granada, just ask the Spanish royal family, who chose it as their exclusive ham brand (talk about eating like a king!). 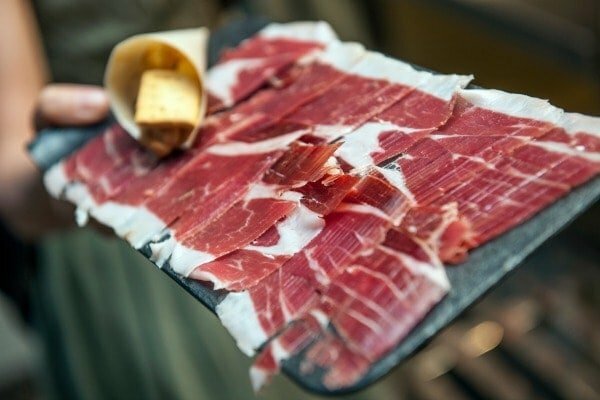 Nothing beats delicious, sliced-to-perfection jamón! These sweet treats are especially popular during Christmas and Easter, but there’s nothing that says you can’t enjoy them year-round. Pestiños have simple Arabic roots, and the original recipe consists of classic Spanish ingredients such as olive oil, lemon, honey and wine. Bring home a freshly baked box, and share the love! You can never have too many local baked goods! Piononos are more than just a typical dessert from Granada—they also make one of the most delicious food gifts from your travels. These tasty treats consist of a roll of sponge cake soaked in sweet syrup and topped with toasted cream. Andalusia is one of the world’s foremost producers of pure liquid gold. 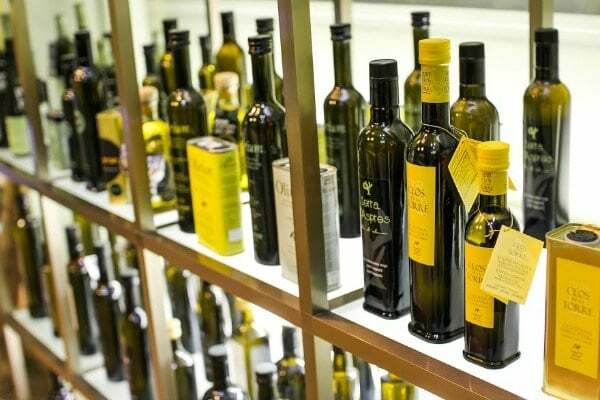 The fertile soil of Granada province combined with the beautiful Mediterranean climate provide perfect conditions for producing some of the world’s best extra-virgin olive oil. Stop into any specialty store or gourmet shop to pick up a unique local bottle. Granada produces some of the best olive oil in the world! 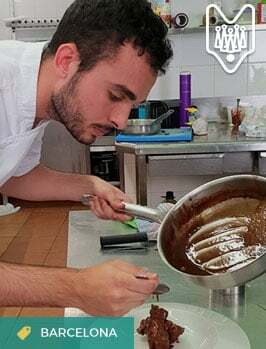 Tucked away in the picturesque Las Alpujarras mountains are many artisanal chocolate producers who have been perfecting their delicious craft for centuries. Indulge your sweet tooth and pick up some of the best chocolate you’ll ever eat (which is saying a lot!). The cheese is unique and jamon tasty too. But the olive oil from Granada is definitely one of my favorites! You have great taste, Sam!